Be it a weekend of relaxation or a special trip to the "Land of the Sky" to care for and pamper yourself, Asheville is a top destination for spas, massage and holistic wellness. 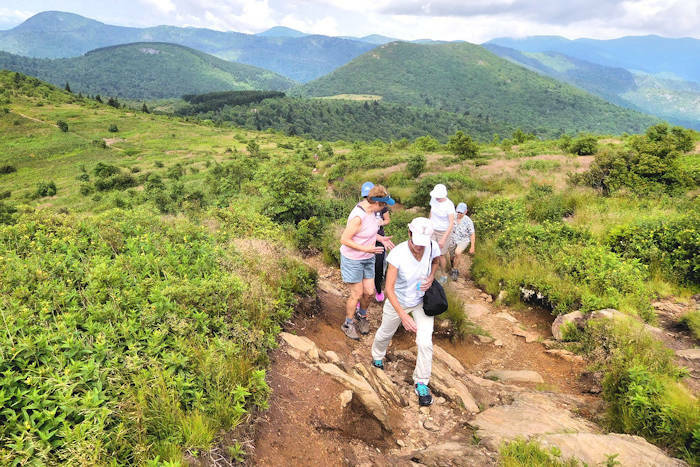 Considered by many as the New Age Mecca of the East, people have traveled to our western North Carolina mountains as a place of healing oneself for centuries. The region features a diverse mix of spa treatments and alternative wellness virtually unheard-of in smaller cities. Soak away your stress at this outdoor Japanese retreat nestled in the Blue Ridge Mountains. This upscale day spa features private hot tubs, a dry cedar sauna, an invigorating cold plunge and luxury slate showers--all on the edge of the National Forest. Shoji's 25 world-class licensed massage therapists specialize in couples' massage. Choose from any massage offered, such as Atama and Ashi, deep tissue, swedish, warm stone, Thai, shiatsu, herbal body wraps and more. 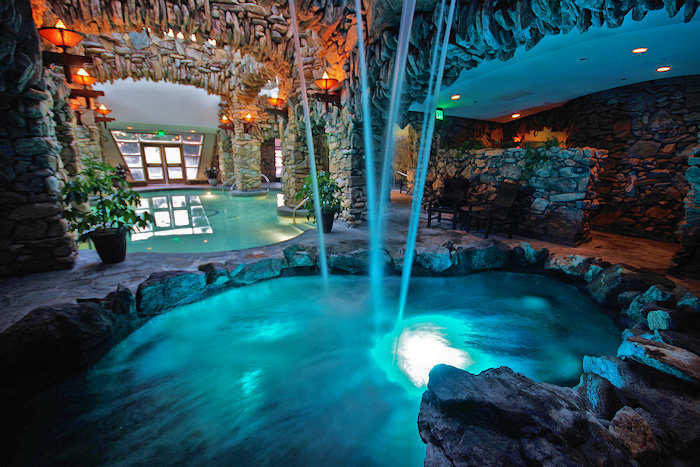 Indulge your senses and experience serene relaxation, convenient to South Asheville and Hendersonville. This comprehensive wellness center boasts an extensive array of services including signature spa treatments, vast array of massage modalities, organic facials, acupuncture, lymphatic drainage, detoxification treatment and holistic health consulting. Stay at this luxury inn on beautiful Lake Toxaway for a pampering weekend of spa treatments, outstanding cuisine, and relaxation by the water. Facials, manicures, pedicures, massages and herbal body wraps are a sampling of services. The resort also has golf, boating, pool and many other amenities. 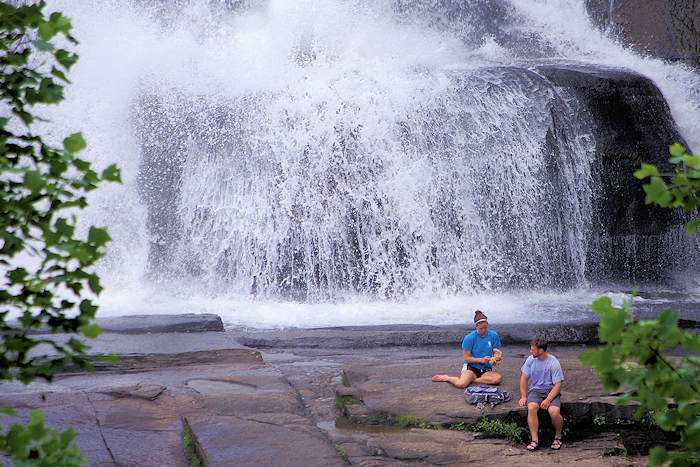 Located in Pisgah National Forest near Brevard and Cashiers. Experience the best facials in Asheville. Founder/Owner of Houston's first Day Spa, Brea Gratia has relocated to Asheville. For 38 years she's provided fabulous facials to a loyal clientele. Come be surprised by the masterful techniques and results. Unique in every way – from the aromatics used to the protocols and ambiance. Located in the Hilton Asheville at Biltmore Park, enjoy a full range of luxurious treatments including massages, facials, body wraps, manicures and pedicures performed in a beautiful and distinctive environment. Their Eminence organic treatments are customized according to your specific needs. Stars twinkle overhead, and the rock walls surrounding you resemble the nearby Blue Ridge Mountains. Plunge in near a waterfall, immediately hearing underwater music. Unwind with unique, luxurious treatments and healthy gourmet cuisine from the Spa Café. See more photos in our special feature. During the 1800s, physicians from across the nation determined that this was the place to send their patients to recuperate due to our optimal temperature, barometric pressure and fresh air. The first tuberculosis sanitarium opened here in the 1870s, followed by two dozen more. Boarding Houses with open air sleeping porches were in high demand by the early 1900s. Many of our early visitors seeking better health stayed in Asheville. Perhaps the most famous is George Vanderbilt who accompanied his ailing mother. He fell in love with the area and built Biltmore Estate. Today, find some of the most gifted holistic practitioners in the nation. Integrative wellness draws on your body’s own healing capacity to promote deep rooted health. Balance is promoted through Chinese medicine and acupuncture, and body awareness, pain reduction and increased fluidity of movement. Mindfulness and meditation practice calms the mind. Asheville’s reputation as a center for healing and natural medicine continues to grow. 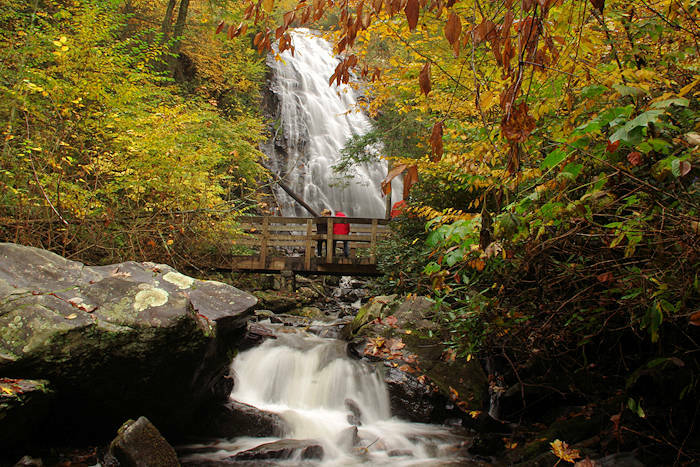 Combine that with the soul soothing provided by our protected forests, mountaintops, streams and waterfalls.